Let’s get ready to RUMBLE! 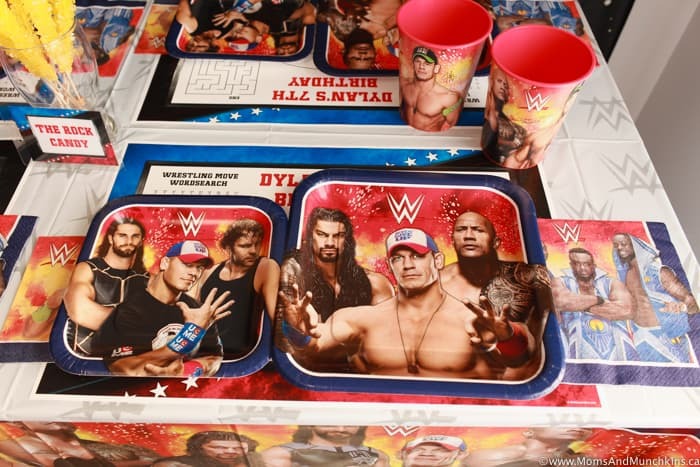 Do you have a child that can’t get enough of the WWE? 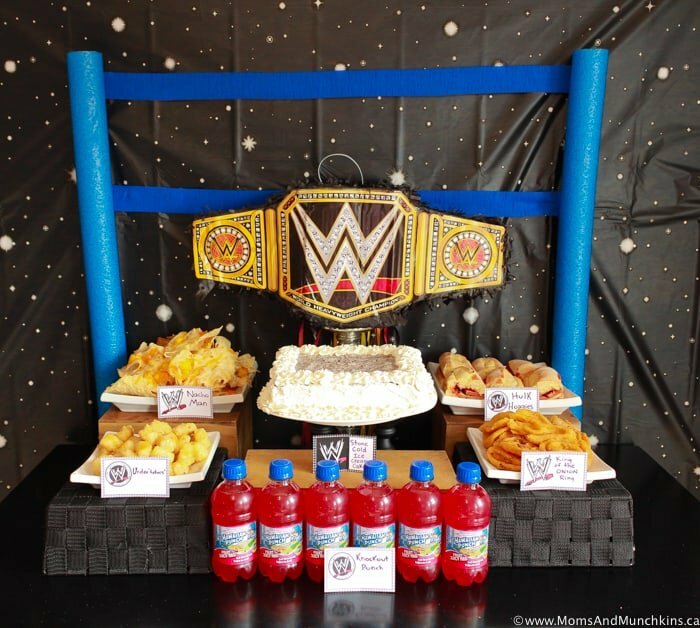 Then here are some fun WWE Birthday Party ideas that are sure to impress! 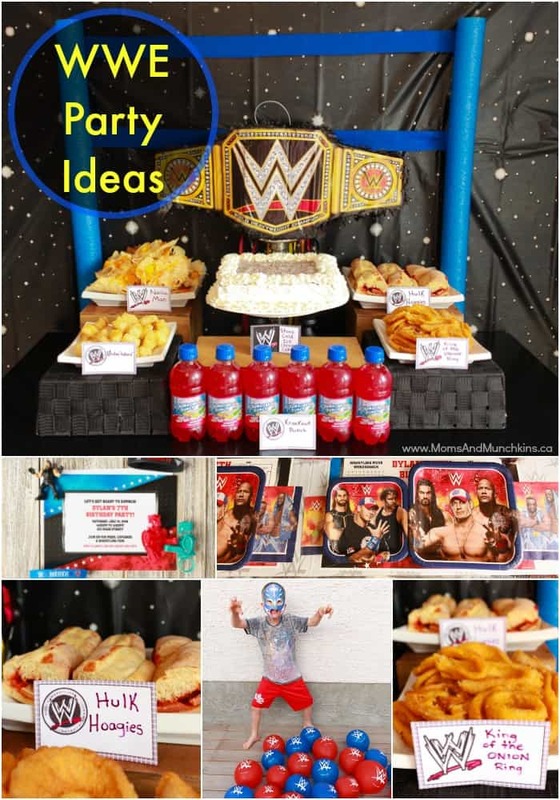 I styled this party for Birthday In A Box using many of their party supplies – you can read my full party planning article over on their website. 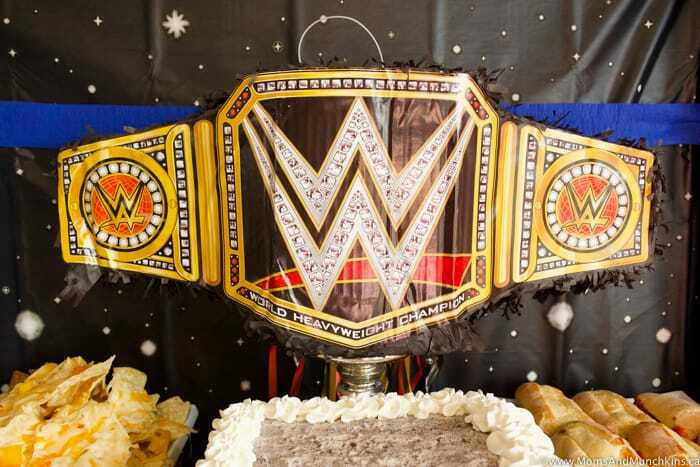 If you are the crafty type, you can try to create your own fun invitations using gold and black card stock paper to create championship belts. 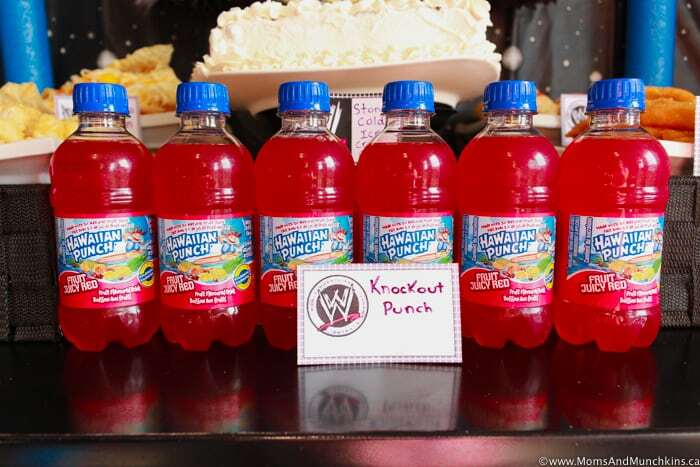 For the RSVP, ask the guests to respond with a fun wrestling name for themselves. You can use these to put onto a scorecard for one of the games (will be discussed in more detail below). You’ll want to use a lot of black, red, silver and blue in your decor. You can do this through balloons, streamers, dinnerware and table settings. A fun personalized banner can be placed at the entrance to the party. 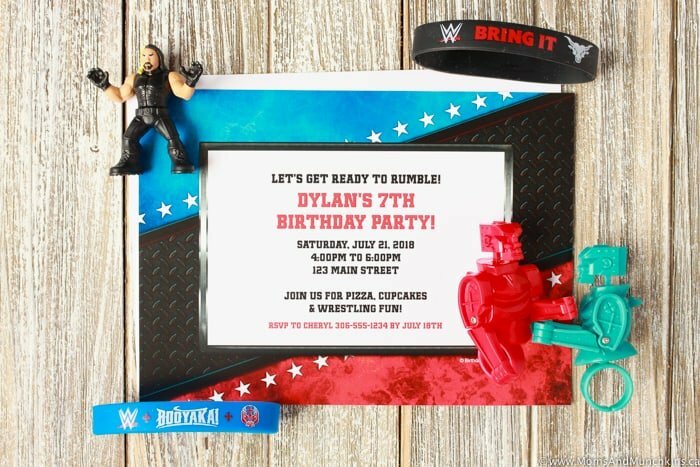 Life-sized wrestling cutouts are a fun party addition and a great photo opportunity – great photos to go along with the thank you cards! 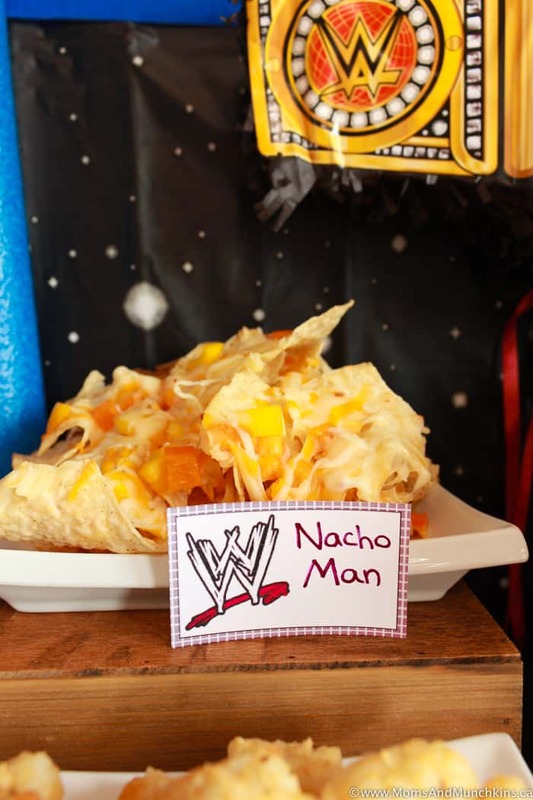 Create this fun & easy WWE party game that the kids will have a lot of fun with. 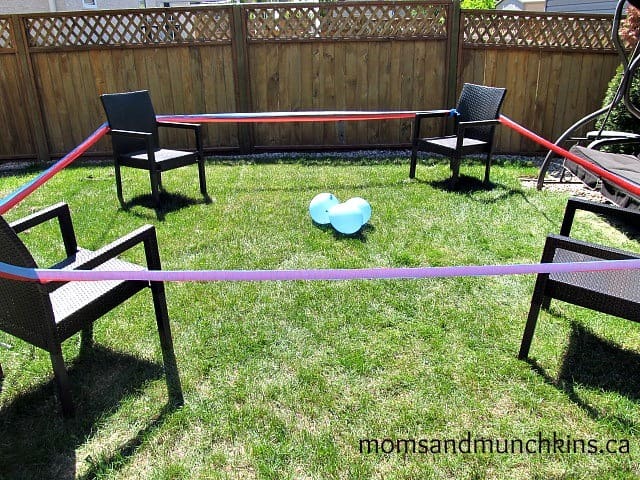 Use 4 chairs as the posts to your wrestling ring. 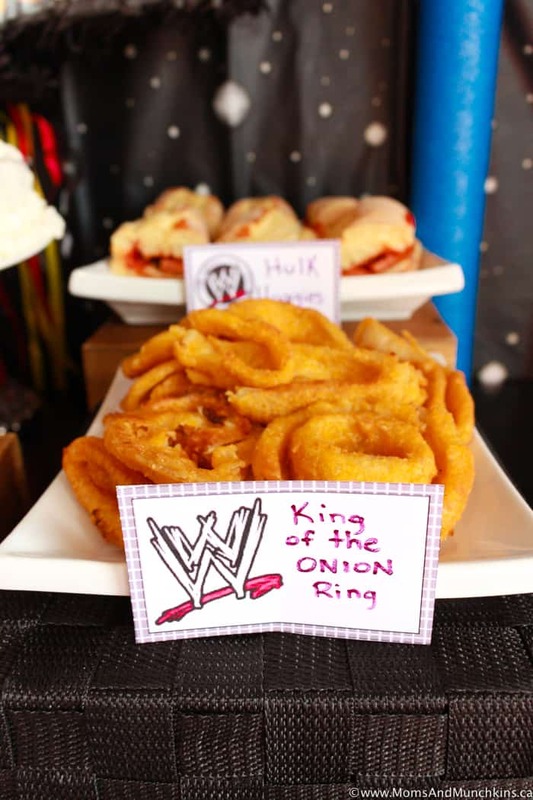 Use streamers around the chairs as the ring ropes. Each child will take a turn in the ring trying to pop as many water balloons as they can in 30 seconds using their best wrestling moves. 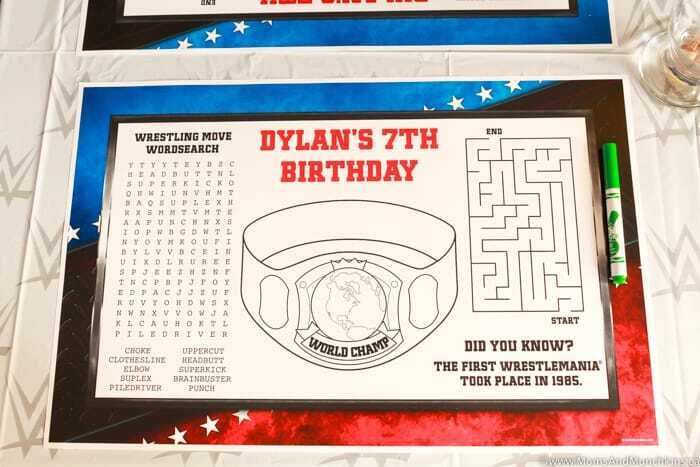 Have a large scoreboard on display with each child’s wrestling name (the name they RSVP’d with). 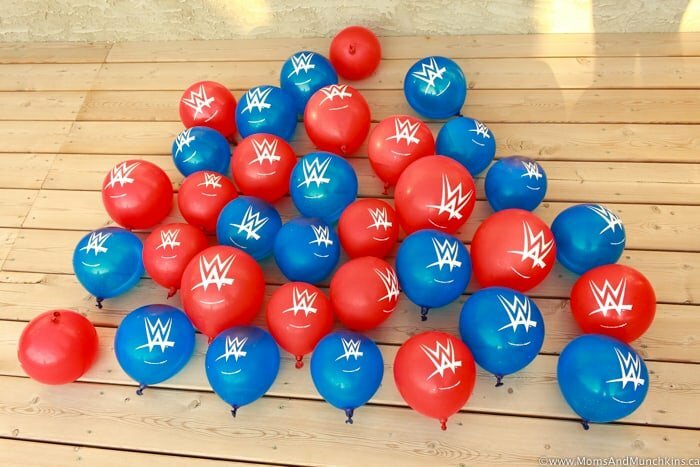 After each round, mark down how many balloons each little wrestler popped. Depending on how many kids you have at the party, you can do a few rounds of this game (players may learn new tricks from other players as the game goes on). 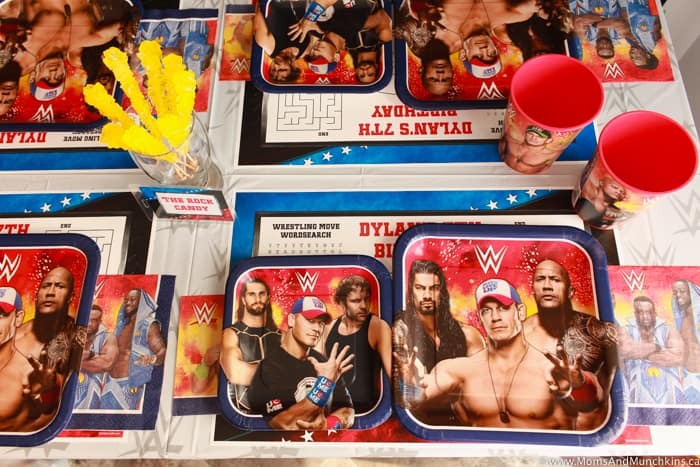 You could also organize the party around a WWE Pay-Per-View Event at a local theatre or at home. 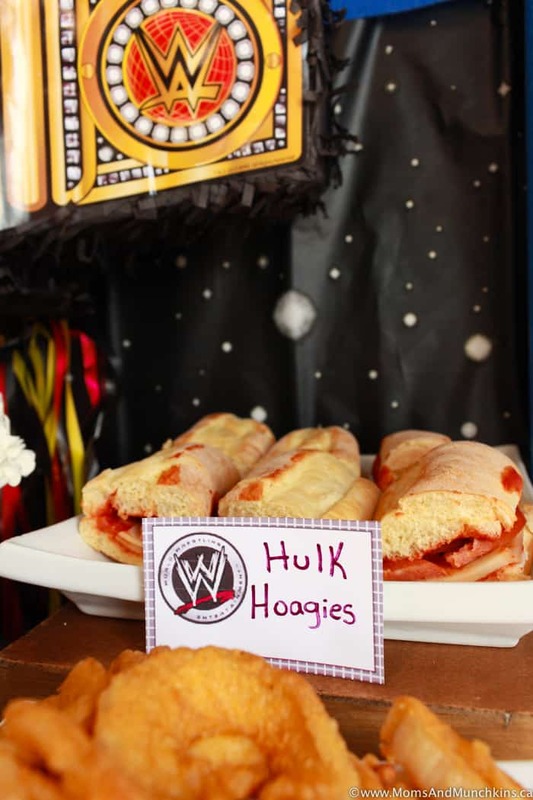 Food can be as simple as hot dogs, fries, popcorn and pop – foods similar to what you would expect to order if in attendance to a sporting or wrestling event. 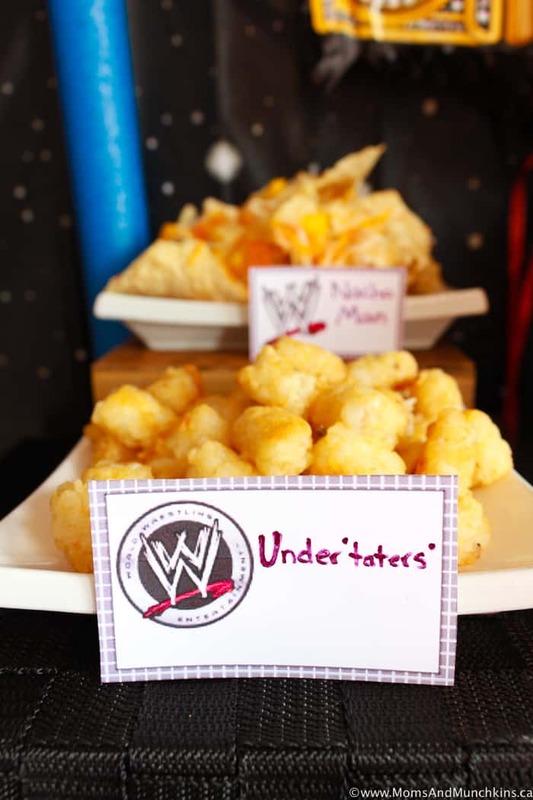 You could even use fun hot dog holders, fry cones and popcorn buckets. 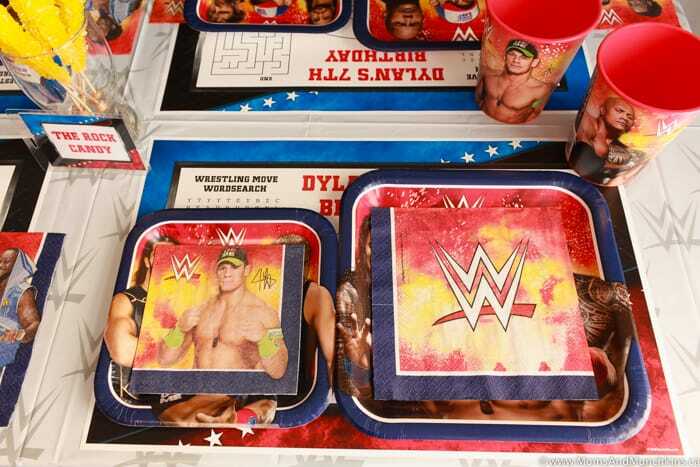 WWE themed plates and napkins can help set the scene as well. You could create a fun banner around the food that says “Can you smell what Mom’s been cooking? 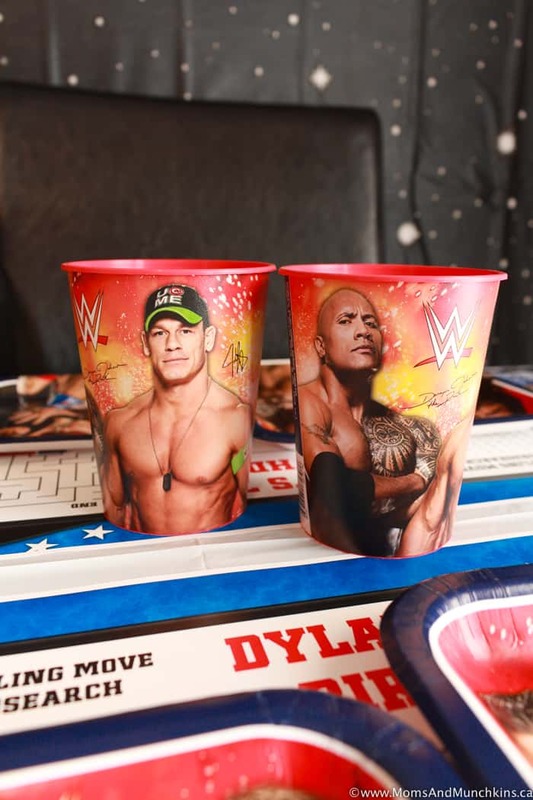 !”…although you may embarrass your child with that attempt to be cool by imitating The Rock. If you are the crafty type, you could make your own rectangle cake, use pretzel sticks in all 4 corners of the cake and then tie string licorice to make the rope for the ring. 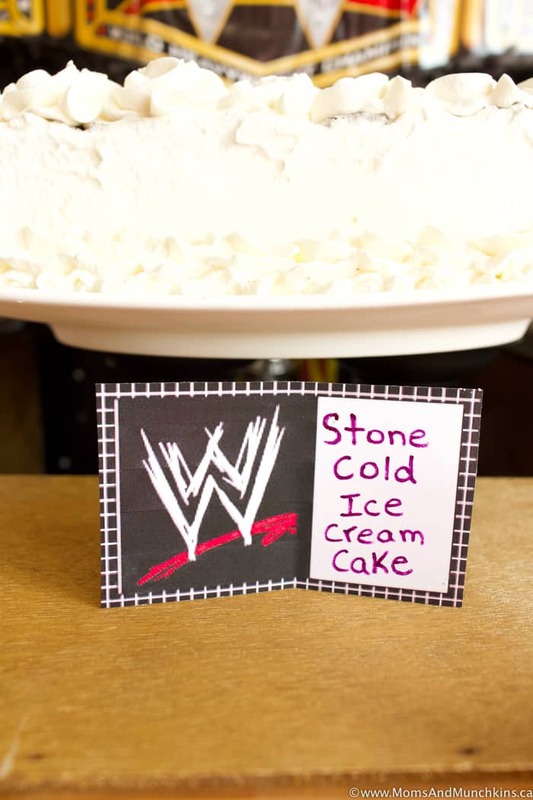 Then top the cake with a couple of small wrestling figurines. 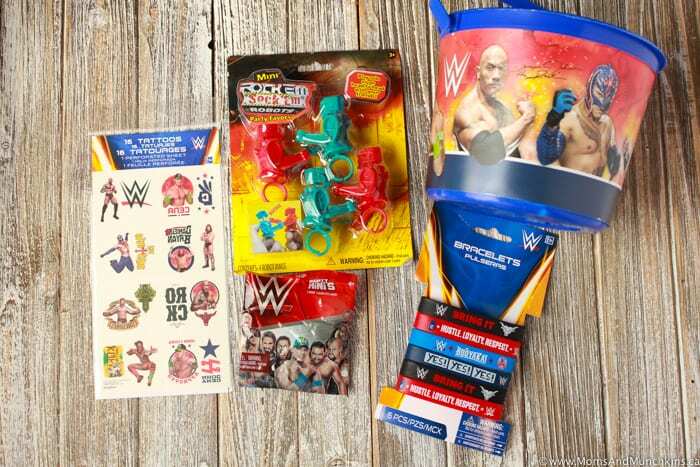 Fun loot bag ideas are WWE tattoos, small wrestling figurines, punch balloons, fun wrestling masks, or a WWE themed candy bar. Remember to visit my full party article over on Birthday In A Box. 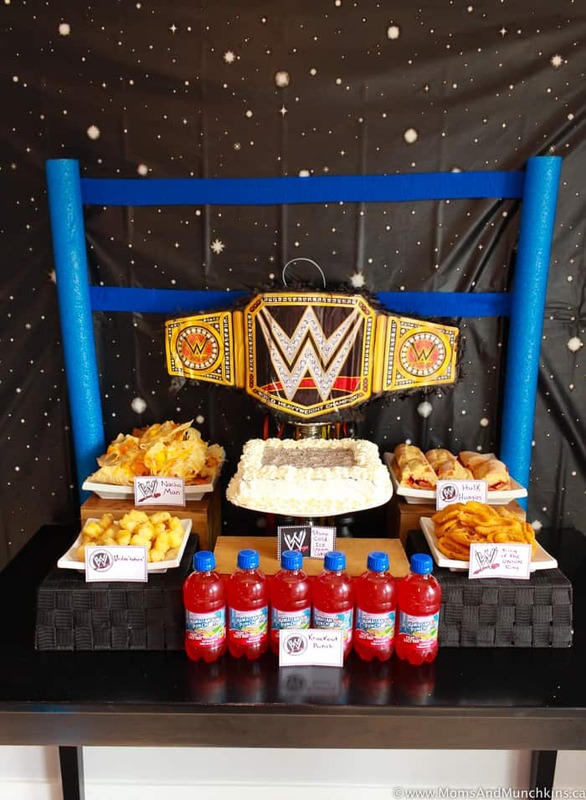 For more wrestling party ideas, visit our Wrestling Party post. We love parties and we’re always sharing new ideas. Follow along on Facebook, Twitter, Pinterest and Instagram for the latest fun ideas. *Disclosure: I am part of the Birthday In A Box affiliate program; however, all opinions are my own. 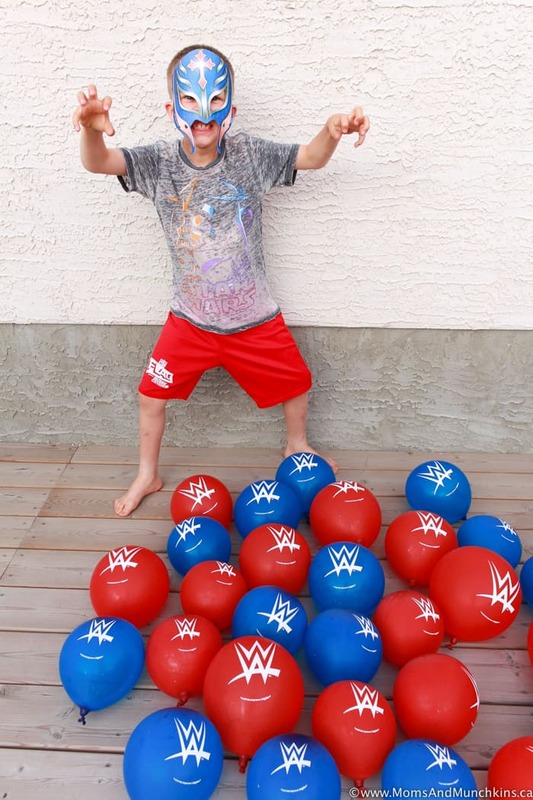 LOVE your ideas….my son who will be turning 3 in 2 weeks is a MAJOR WWE nut!! He LOVES it! Knows all their names, etc….and LOVES to “beat us down” with his moves…the game to “beat down” the water balloons…PERFECT!!!!! LOVE IT! And at age 3 I think I can get away with the Rock humor…I love it! THANKS!!! So sweet of you to say – thanks for stopping by! Happy birthday to your son! 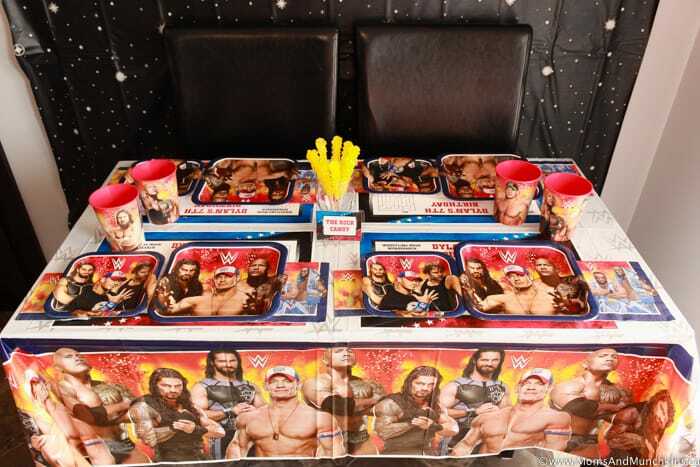 Seems like fun my entire family loves WWE were big fans of it. 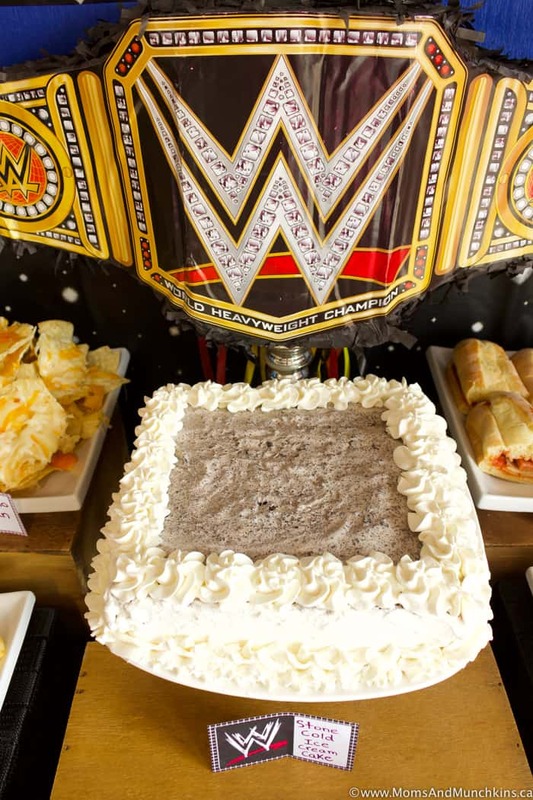 I wish they had baby shower ideas and things like that I’m having my 1st baby it a boy and my fiance and i love the WWE. Were trying to make it creative not just have some plain ordinary baby shower. 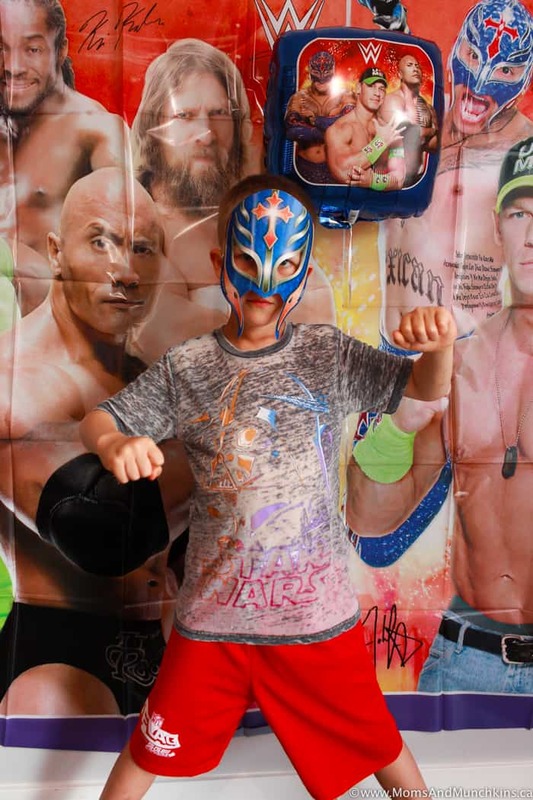 We know our son would love WWE as much as we do. 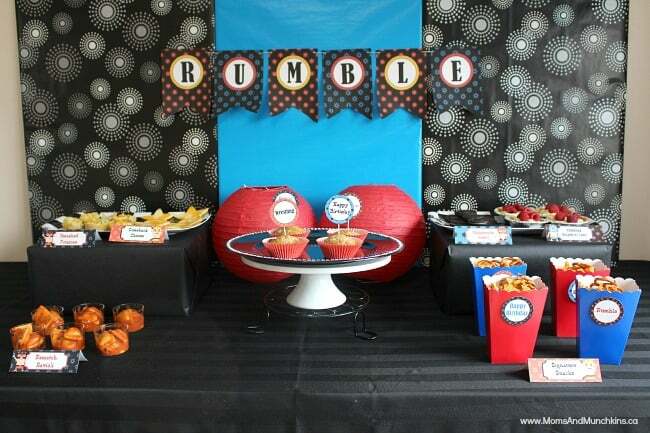 Any idea feel free to message me some I will definetly try these ideas of yours for a future birthday party. 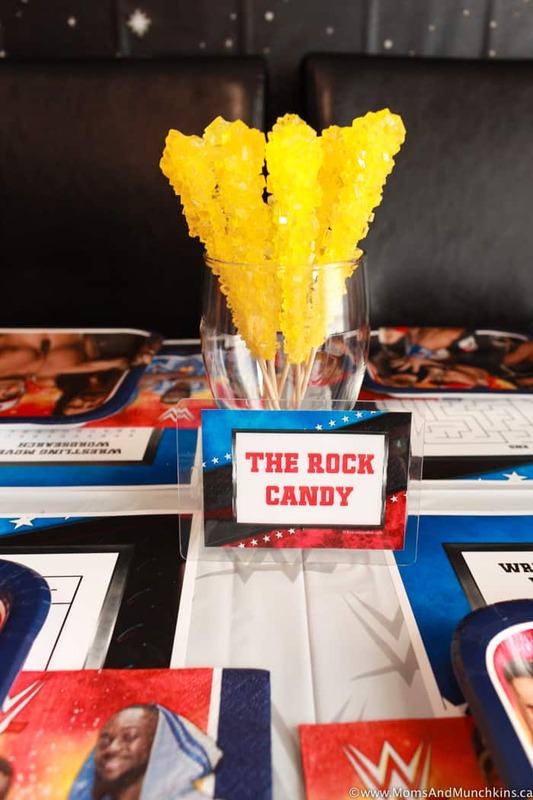 For a name game, have guests come up w wrestling names for the baby. Have each guest create a onesie w a costume or belt, champion burper or pooper. Cute ideas – thanks for sharing! This is GREAT!! My boys were really into WWE for awhile! Found you on Sugar Bee Crafts. Please come share this on a party I co-host DIY Sunday Showcase! It’s open now! !